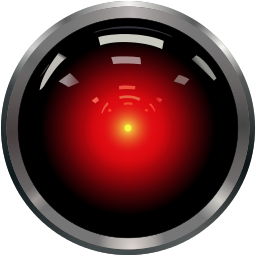 Flipping through my sooper secret content sources (aka Feedly) this week, I came across a great short story that reimagines 2001: A Space Odyssey as a conversation between Dave and Facebook, instead of Dave and Hal. With all the press coverage in the past month about Facebook Messenger extending its reach throughout users' smartphones, many users have taken to uninstalling the app entirely and even backing off their use of Facebook in general. Warranted or not, the idea of a creepy Dave-Hal style conversation happening between a Facebook user and the site itself is actually an interesting concept. DAVE: (Adjusts an earpiece.) Hello, Facebook. DAVE: Login and open settings. FB: I’m sorry Dave, I can’t do that. The story is written by Ben Jurney who has a great subtly sarcastic writing style that I am completely in love with. Case in point, his short from The New Yorker, entitle: Sorry, I was Hacked. If quietly sarcastic is your thing too, check out more of his writings published on McSweeney's. And of course, make sure to check out the entire 2014: A Facebook Odyssey. It's a quick read but oh, so, poignant.